OBTRUNCATION was formed around 1989 with the following line-up: Luc : guitars & vocals, Martin : drums, Frank : guitars, Roeland : bassguitar. 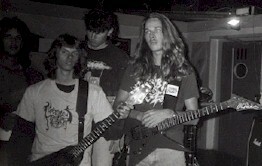 With this line-up they recorded their first demo "Sanctum's Disruption". Within no time they established a reputation among the fastest & most brutal bands of the underground deathmetal-scene. Around 1991 Lawrence Payne joined OBTRUNCATION to add one of the most guttering and growling vocals ever heard. Not long after Lawrence joined in, Roeland left the band due to other interests, and a new bass-player was found in Arjan Meerkerk. In 1992, OBTRUNCATION recorded their second demo "Sphere of the rotting" which was very well received by the fans because of the hyper-speed tempo's and the intense brutality. OBTRUNCATION showed in this "true deathmetalorgy". OBTRUNCATION received various positive critics from many Dutch and international magazines on the so far released material and they were seen at various Dutch & international locations. 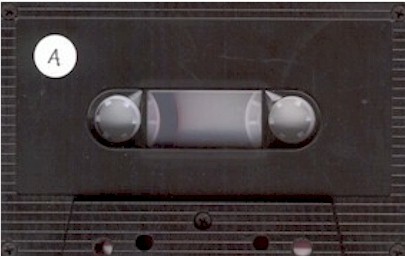 A few years after the release of the second demo OBTRUNCATION recorded 12 tracks for a French label but was ripped off. Shortly after that they broke up and that seemed to be the end. After a long break a dark force inspired two old band-members to resurrect the OBTRUNCATION-spirit, the Dutch DAMNATION RECS. released this piece of blasting terror in March 1999. Professionally made four panel cover with no lyrics. Tapes are pro studio tapes. Recorded in Island Music Station in Hekelingen early December 1990. Professionally made cover without lyrics. It was recorded in studio 'Het Pand' in Vlaardingen. 2 of the 5 tracks were released on the Dutch DSFA-compilation CD of Anthony van den Berg. Lawrence Payne (Vox) was also in Phlebotomized.